Order custom content from 5,000+ talented writers instantly. Solve your high-volume content needs with expert support. Successful city-specific landing pages don’t just shove location names into templated text and title tags. Search engines value unique content and penalize duplicate content, even if you’re just copying from your own site. Our city pages are all 100% unique and present unique, local information to readers. Content that supports a good user experience drives repeat traffic and higher time spent on your web pages. This type of content is built on engaging writing that draws in your readers and makes them want to learn more about your service. Our writers take time to ensure your content is engaging and error-free. Local visitors can easily recognize content written by people who don’t know their area or didn’t do the research, and that makes your company sound disingenuous (which undercuts trust). Our writers take care to properly research every physical location to ensure your city pages offer information that’s both locally relevant and accurate. What Types of Local Landing Pages Do We Write? Many companies need to present visitors with important information about how their services in a given state, and want to rank for high-volume local search terms. Our writers can combine your business' info with well-researched state info to craft compelling pages for every state you operate. 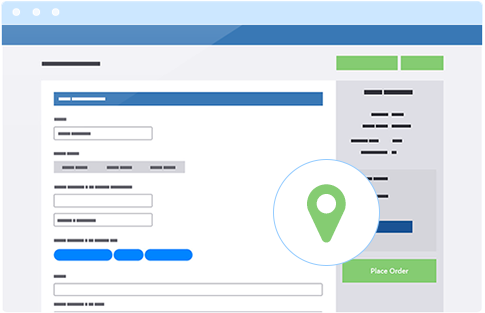 By far the most popular type of local landing page, companies use these to rank for local search traffic, especially when faced with not having a Google My Business listing for their service in a city. We create detailed city pages that use a variety of sources to provide useful and specific info. In some cases, businesses find enough local search traffic and customer interest that they need to create pages for specific neighbourhoods. While challenging, our experienced writers are able to use their research skills to deliver engaging content at even this most granular level. Want to Learn More About City Pages? Check out our ebook on creating high-quality city pages that rank well in Google local search results and engage visitors. City pages help you rank for keywords and target people who are searching either from your city or for services in your city. While the local pack is really important for local SEO, for many businesses the organic results outside the local pack are even more important. But local SEO isn’t just important for success in Google or other search engines. Consumers today approach topics and products in a variety of ways, including research on mobile devices and social media, and local SEO city pages are critical to page success no matter where your traffic is coming from. While the SEO benefits of location pages are clear, they’re also valuable intrinsically as they let your visitors browse and discover the unique services you offer in every location. All pages should be internally linked to other pages on your site and a part of your navigation to help visitors find the right local business offering. How can you ensure local SEO city pages that perform? Rely on professional marketing writers who have years of experiencing crafting local-set landing pages. At Crowd Content, our team of hundreds of freelancers can deliver high-quality location pages no matter what the scale of your project is. Need 10 pages to cover all the services for your small business? Need thousands of pages within a few months to ramp up SEO efforts for all your divisions? Neither project presents a problem: our customizable solutions let you get local pages that boost page ranking and engage your users to support sales conversions. Our user-friendly platform makes it easy for you to place, review and export orders, and customer service is always available to provide assistance. If you’re looking to scale up and don’t have time to manage the day-to-day process of your local SEO project, we offer enterprise, premium and managed content solutions to meet all types of business needs. What Benefits Do You Get By Partnering With Crowd Content To Create Your City Pages? We also allow time for you to review every order and request revisions if necessary. Our customer service representatives work with you to help you find the right writers for each job and build a team you can rely on. With thousands of writers in our marketplace, your large projects are fully supported. Start small or dive right in with a large number of pages; you can start receiving completed content within as little as 24 hours. Ask for writers who are familiar with the location, or rely on freelancers with excellent research skills. Either way, you can get local references and data in your content so it reads naturally to consumers in your area, which lets you build enhanced engagement and trust. Our platform supports a variety of delivery formats, including Excel and CSV downloads, direct-to-WordPress exports and Word documents. 5,000+ Talented Writers Are Waiting for You! Contact us today to find out more about how we can help you rank in the search engines and engage readers.